Many schools use Google Drive as their method to back up and share files, and the free Google Drive app can be used on the iPad with Book Creator too. Watch the video below or read on. Tap the export icon beneath your book on the My Books screen, and choose Export as ePub. Then choose Open in, and you should see Copy to Google Drive as one of the icons listed. When you want to work on the book again, open the Google Drive app and tap on the file icon. Then tap on the Open in button to get the iOS menu. Tap on the Open in icon in the bottom row and wait for the app to process exporting the book. 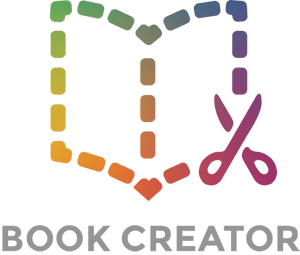 Once that's done, you can tap on the Copy to Book Creator icon and it will send your book to the Book Creator app and open it again. You may want to share your book with another person, or maybe you're collecting all your student's books to combine them into one. Instead of tapping on the file icon, tap on the menu option (the 3 vertical dots in the bottom right of your file). You'll get a whole load of options there, one of which says Get link. This will copy a link to your iPad's clipboard so you can paste it in an email or iMessage. The recipient doesn't even need to have Google Drive themselves to access this link, they can open it in their web browser and then download the book for themselves, with the option to open it in Book Creator if they have the app installed. There are a few of stumbling blocks to be aware of. Firstly, there were some reported issues with the 'Open in' function in Google Drive that was affecting apps. An update to Google Drive in September 2015 seems to have fixed this. When you open your ePub file in the Google Drive app you get a message saying 'Unable to open file' - don't be deterred by this, it just means that Google Drive cannot preview the file within the app (like it could a PDF, for example). Just tap on the Open in button. Lastly, and this may be the biggest issue, when you first tap the 'Open in' icon in Google Drive, it seems like nothing happens (although you may detect a spinning wheel in the top right of your iPad). The book needs to export from the app and be processed ready to open in another app. For large (file size) books this process may take a while and it will feel like nothing is happening. Just be patient and wait for the next menu screen to appear.